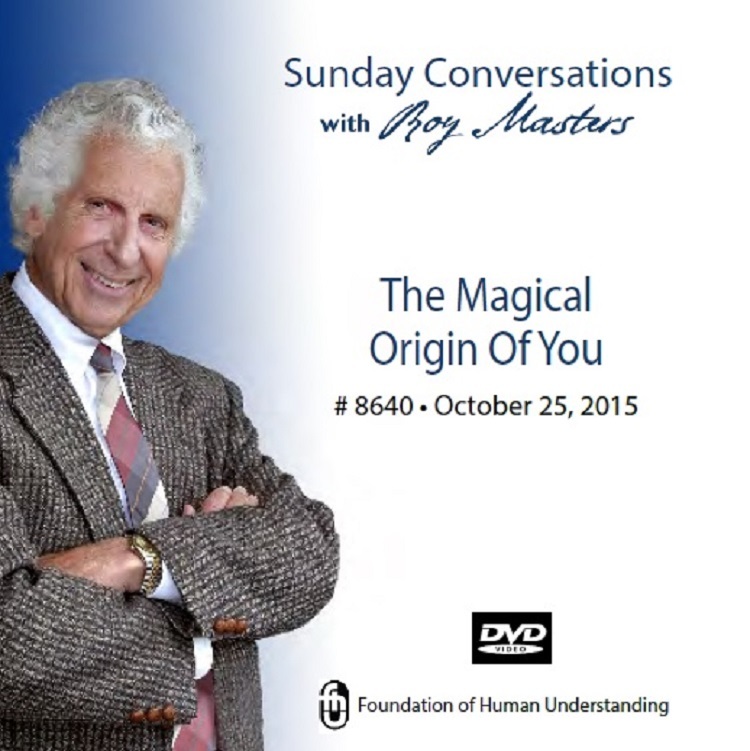 "The Magical Origin of You"
This week’s talk is like a magical carpet ride through the world as Roy experiences it. You’ll hear a compelling story about what Roy discovered just the day before while resting on his living room couch. He tells of the origin of you and everything. You will see the significant impact the story has on his audience. Roy goes on to share how he feels no pressure and has no sense of time. You’ll hear how “doing the right thing in the little things” can alter your life and the lives around you. And if you are someone who tends to “go along to get along,” you’ll see what can happen “once you have given into the pull". This week, the best is saved for the last. You will witness two members of the audience receive help they could find in no other place, or any other time. This again is a rare record of lives being changed right before you.